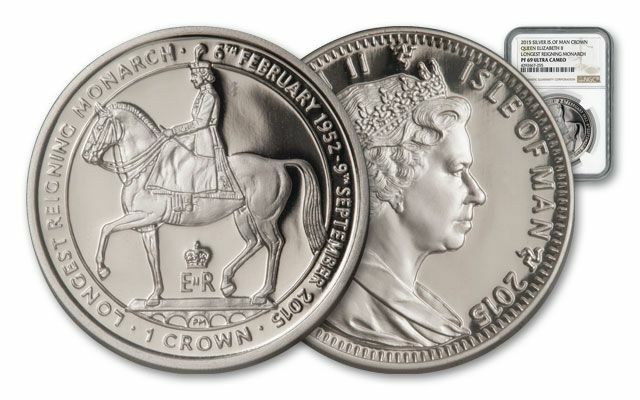 This 2015 One-Ounce Silver Proof celebrates Queen Elizabeth II as the longest reigning Monarch in British history. September 9th, 2015: this is a historical date. On this date, Queen Elizabeth II reigned for 63 years and 217 days, making her the longest reigning monarch in over 1,200 years, and surpassing Queen Victoria (June 20th, 1837 to January 22nd, 1901), Queen Elizabeth II's great-great grandmother. At this time Queen Elizabeth II was 89 years old. 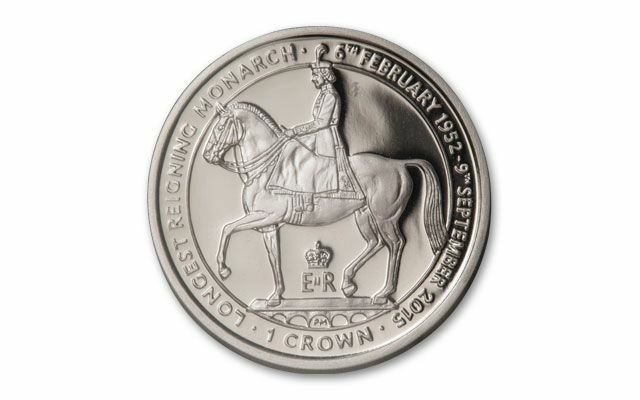 Prior to Victoria, the longest reign was held by King George III (59 years, 96 days) who reigned from October 25th, 1760 to January 29th, 1820. 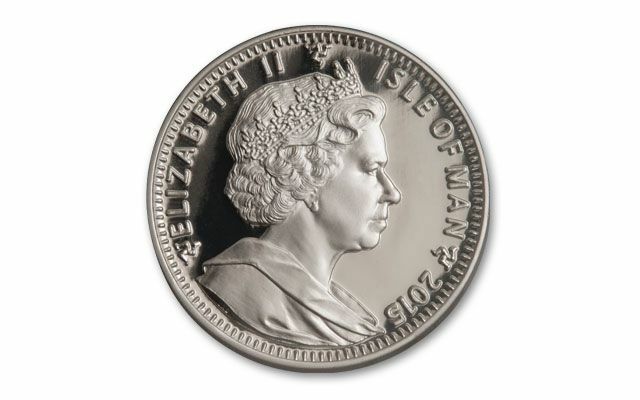 The coin features an image of Queen Elizabeth II on horseback. The image is taken from the Queen's Great Seal of the Realm. 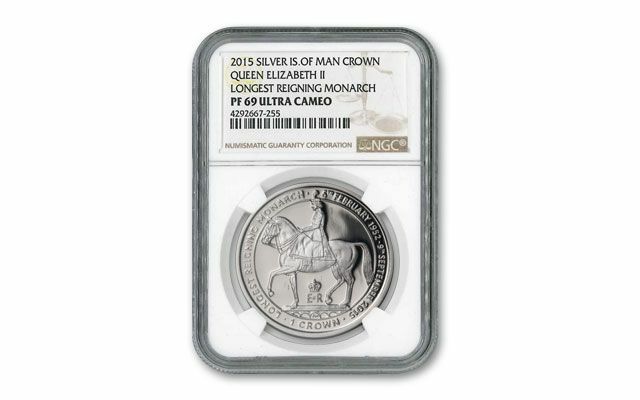 All coins have been graded by NGC (Numismatic Guaranty Corporation) to be in Proof 69 Ultra Cameo (PF609UC) condition. Each coin will arrive with a Pobjoy Mint numbered certificate of authenticity and in a Pobjoy Mint wooden presentation case. Don't miss adding this historic proof to your collection!